Warning! Spoilers below for Bates Motel! Warning! 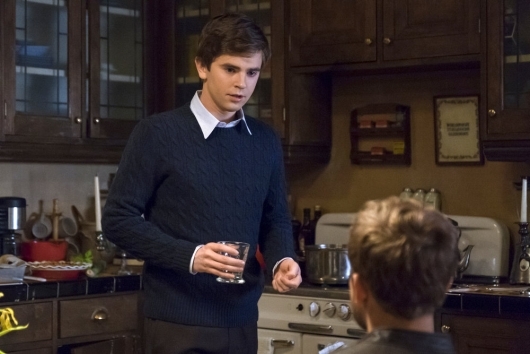 Spoilers below for the last 2 episodes of Bates Motel! 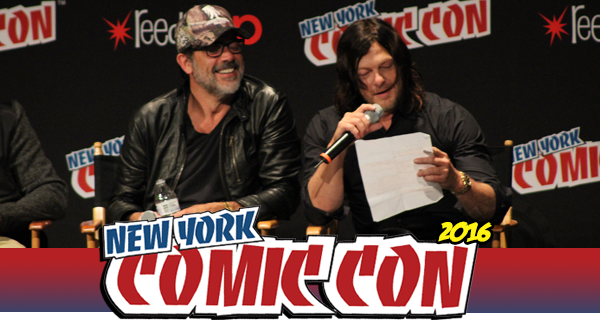 The New York Comic-Con panel for The Walking Dead at Madison Square Garden was full of excitement on Saturday night as much of the show’s cast and crew took the stage to discuss the upcoming highly anticipated seventh season. Along with moderator Chris Hardwick (Talking Dead), those on stage included main cast members Norman Reedus (Daryl), Danai Gurira (Michonne), Steven Yeun (Glenn), Michael Cudlitz (Abraham), Lauren Cohan (Maggie), Sonequa Martin-Green (Sasha), Melissa McBride (Carol), Lennie James (Morgan), Alanna Masterson (Tara), Austin Nichols (Spencer), Jeffrey Dean Morgan (Negan), Seth Gilliam (Gabriel), series showrunner Scott M. Gimple, and producers Robert Kirkman, Greg Nicotero, David Alpert, and Gale Anne Hurd. Last week saw a lot of loss, with the Walker attack that killed young Sam and his mom Jessie, the latter of whom seemed to be a nice love interest for Rick. Then there was Carl’s grave injury — shot in the eye by his teen nemesis Ron, who was cut down by Michonne — and it seemed like he wouldn’t pull through. Lastly, there was the death of the Wolf guy, who seemed to actually make a surprising change when he risked his life to save Denise. But in light of all this loss came a uniting of all the residents of the Alexandria Safe Zone, who bravely faced the invading Walkers and beat them to finally come together as one people, a group under the leadership of Rick, who now sees clearly the good the future holds for his son and his people. Unfortunately, this future includes some unforeseen elements, namely the coming of the villainous Negan, who, no, still hasn’t physically shown up yet. But, a new character did on Episode 6.10 “The Next World” — Paul, aka Jesus, who is a character from the comics. 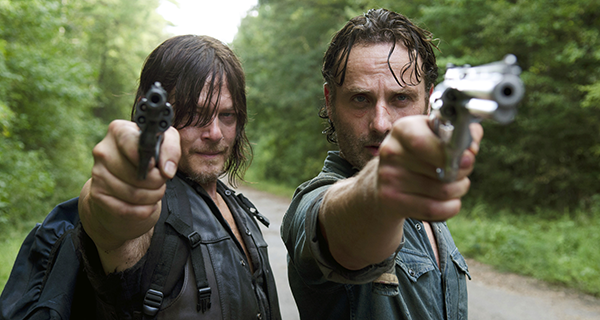 In his debut episode, Jesus proves that he’s a formidable character, but there’s obviously more to him than meets the eye after we see him toying with Rick and Daryl. But more on that later, because oh man did something outstanding happen in this episode!!! !